As with so many specialist environments universities and university tutors have developed a form of technical shorthand as a way of letting students know what is expected of them. It is a well established principle that there is much to be learned from our mistakes. The writer George Bernard Shaw once said "Success does not consist in never making mistakes but in never making the same one a second time." and he certainly has a point. Mistakes, in and of themselves, are not inevitably a bad thing. Indeed, within educational and training contexts mistakes are not only expected but regarded as part of the learning process. 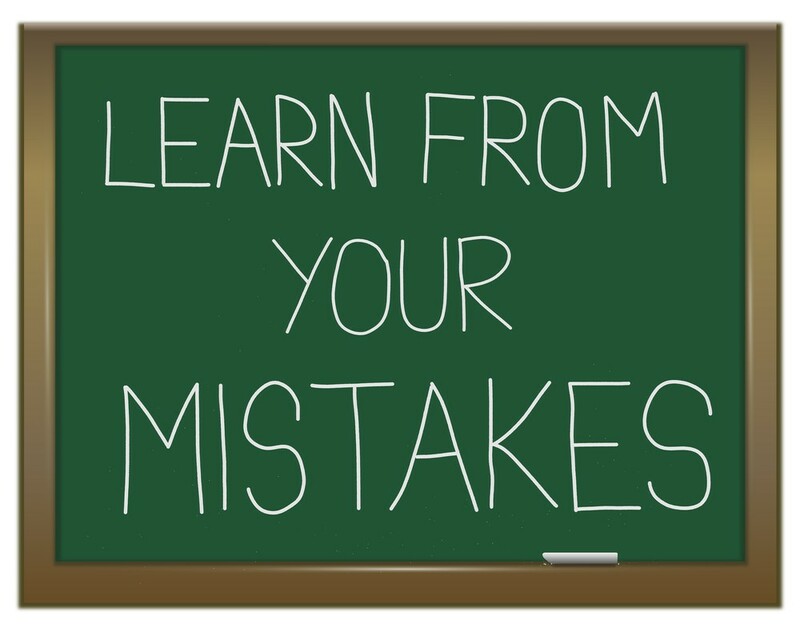 However, the process of learning from our mistakes only works if we are first prepared to accept that we have actually made a mistake and further that we spend time reflecting on these mistakes to identify where we went wrong and how we can avoid repeating the same error. Within any university course students are routinely set course work which, when completed, is submitted to the course tutor for assessment. Now the assessment process tends to fall into 2 parts with students, on the whole, often only focusing on the second of these. The first part of the tutors assessment of a piece of student work is an evaluation of the processes, knowledge, understanding and skills demonstrated in the work the second part is allocating a numerical value to this performance. As has been mentioned, more often than not a student will skip to the end to find out what the final mark is. This is not at all surprising as it is these numerical grades that get collated to provide the final degree classification so a lot is riding on them. However, very little can be learned from the simple numerical grade, to genuinely learn from coursework and improve on performance we have to look to the tutors comments. Of course, as with any profession, tutors have developed a sort of specialist "shorthand" as a way of signaling issues within pieces of coursework and this shorthand is not always obvious to students reading their feedback - especially if they haven't taken the time to talk over this feedback with the course tutor. So, what are some of these shorthand terms and what do they mean for your work? It is very common, especially within an early piece of student work, to have the phrase "this is far too descriptive" show up in the feedback. The point of this sort of comment is to draw attention to the need to go beyond simply "telling the story". At university level tutors are wanting students to not just provide an account of what someone has said or what a text is about but to explain how these things work, what has influenced them, and how they influence other things. It's a bit like reporting back to a friend about a film you have just seen. The first question they may ask is "what was the film about?". The answer to this question is a simple description of the story. The next question is likely to be "did you like it?". This is a much more evaluative question which requires a detailed examination of the various parts of the film - the acting, the special effects, the music, the lighting and the script for example. How do all these elements work together to create the film? Are some of them borrowed from other films or do they remind you of other films you have seen? Would the film have been better if the cast were different or the running time was shorter? Did it really need to be 3D? Was the film as good as the book? These sorts of questions take the discussion out of the basic realm of mere description and it is this level of engagement that tutors are looking for. If your tutor is telling you that you are being "too descriptive" then this is where the problem lies. "Oh man, this is the best cake I've ever eaten!" "Really? Prove it! What criteria are you deploying to establish "best" as a measurable quantity? Can you place a precise figure on the amount of cake you have eaten in your life-time and outline your methodology for coming to a comparative evaluation? Is you statement a testable objective claim or simply a subjective declaration of preference? Do you have a list of other cake eaters who agree with your assessment? This, of course, is a ridiculous scenario socially however academically it is another thing. With a university level piece of work these are precisely the sorts of questions a tutor will be asking. Whenever a claim is made, a statement asserted a fact presented and an opinion voiced then evidence is required. Where do your facts come from? What have you read that has led you to this opinion? Who have you read that supports your opinion? Who have you read that disagrees with your opinion? In an academic piece of work nothing can be presented as "obvious". For example, if you feel the need to claim that "grass is green" you are likely to have your tutor reply "says who?" unless you have provided a reference to some scientific source material explaining how the green pigmentation in grass and other plants is due to the chlorophyll that absorbs red and blue light (I looked it up). If your tutor is telling you that there is not enough supporting evidence to back up your claims then this is where the problem lies. This is a very common comment to find in tutor feedback and refers to a quite specific requirement of the academic world. Analysis, as we have seen in another article on this hub, is simply the process of taking something apart and laying out the various bits carefully so that it becomes clear how they fit together and work together. A physical object can be analysed by quite literally taking it apart with a screw driver, spanner or even, in extreme cases, a hammer! 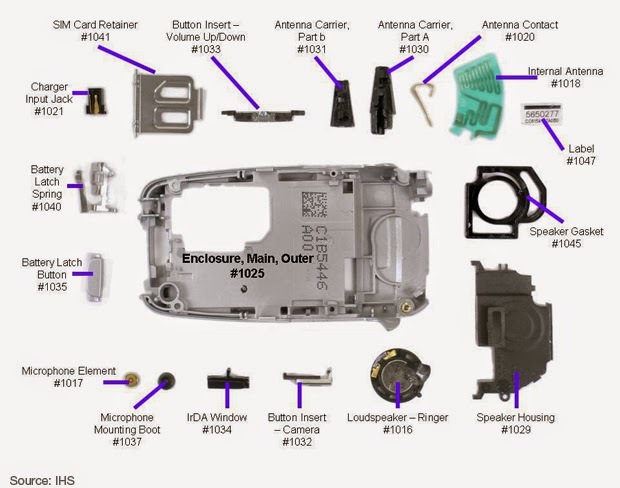 A mobile phone, for instance, can be broken down into its component parts - the plastic case, the screen, the processor and memory chips, the wiring, circuit boards and the battery and we can ask questions about what each of the parts contributes to the whole. But analysis is at its best when you keep going and start breaking down the bits into smaller bits. For example what is the battery made of? Is it based on recent technology? Where does it come from? Is it expensive to make? Is it ethically produced? Is it environmentally friendly? Even an object like a phone can be analysed economically, ethically and politically for instance. Ideas and concepts can be taken apart and analysed in exactly the same way as a physical object. Racism, economic protectionism, quantum theory and romanticism, for example, can all be broken down into their component parts and investigated. What are the essential ingredients involved in each of these theories and ideas? Where did these ideas and theories originate? What were the influences that helped to stimulate them? Who are the most significant individuals and groups associated with these ideas? Are there particular values at stake with any of these ideas? Are there any specific geographical, cultural or historical instances of these ideas? If your tutor is telling you that you are not being analytic enough then this is where the problem lies. This is another comment often found in student feedback and it is closely related to analysis. Being critical and being analytic are so closely related that tutors routinely link them in their comments and say things like "This piece of work lacks critical analysis". That said being critical and being analytic are not the same thing. While analysis is, as we have said, the process of taking something apart to see how it works being critical is all about asking the right questions. As we have already mention, simply describing what you have read is not enough at university level, it is important to explore your subject and interrogate your sources. Every book, article and website is open to question and must not be taken at face value if you wish to be seen as critically engaging with your material. Who wrote the piece you have just read? What is their agenda? Do they have a bias of any kind? Is the piece still relevant? When was it written? - has it been superseded by more recent research? Where was it written? Is it culturally or geographically specific? What evidence does the piece draw on? Is it a credible source of information? Are there alternative opinions to the one expressed in this source? The more questions you can raise the more critical your work will look even if you are not in a position to fully answer all of the questions identified. 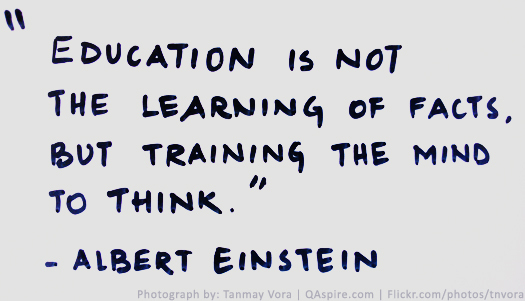 If your tutor is telling you that you are not being critical enough then this is where the problem lies. "A student has copied and pasted a chunk of text into their paper, due to a lack of knowledge on the topic they are covering. Their similarity score is 20%. In comparison, another student who has a firm basis of knowledge for the same assignment and knows enough to gather information from several sources to quote and reference correctly has a similarity score of 22%. Both students will be shown to have matches against our database. However, one of these students copied directly from a website, whereas the other provided properly sourced quotes." "It is perfectly natural for an assignment to match against some of our database. If your student has used quotes and has referenced correctly, there will be instances where we will find a match. The similarity score simply makes you aware of any problem areas in a student's paper; you can then use this as a tool as part of a larger process, in order to determine if the match is or is not acceptable." If you are at all confused or concerned about a match score on a piece of your work contact the course tutor and discuss it with them. The simple fact of the matter is that there is very little that goes on at the university that doesn't benefit from discussion. The more you discuss your work, your feedback and your study anxieties with your tutors the more confident you will feel and the better your academic work will be. Remember, course work is not a trap that your tutors have set for you to watch you fail, they genuinely want you to do well! Tutors have developed a variety of ways of trying to inform students of their performance and progress. Feedback on coursework is a very effective way of both learning from your mistakes and identifying good practice. However, this process is only useful if students a) understand the terminology tutors are using and b) are prepared to read through the feedback and discuss it with their tutors rather than simply skip to the numerical grade at the end and leaving it at that. 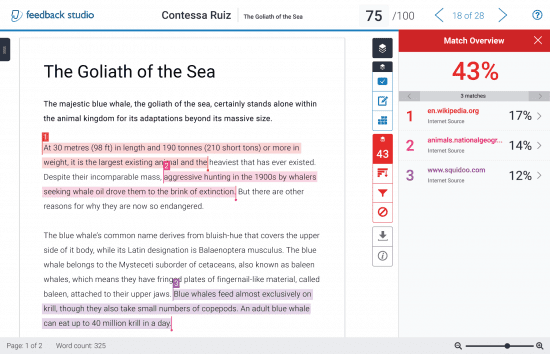 With the increasing use of Turnitin another level of feedback information has been added that also needs decoding if it is going to be useful.